It is inevitable that, one day, you will have to get your septic system pumped out. It’s not something people like to talk about, or think about often, but it’s a fact of life for septic system owners. Yes, it’s a dirty job and can be very unpleasant for the untrained, unprepared person. However, we at Hereford Septic Service are far from untrained and unprepared. We’ve been cleaning septic systems and installing new ones since our first day on the job. To us, septic services come as second nature and there’s no problem we can’t guide you through So if you want expert septic assistance, look no further than Hereford Septic Service. Whenever you go to install a septic tank, you need to make sure of a few things. One, you need to determine where your drainage field will end up. Two, you need to make sure there is an ample grade from the house to the tank, unless you’re using a pump driven system. Lastly, you need to make sure the septic tank is large enough for the household that you’re running. There is a calculation that you can make based off of how many people live in the house, and for what percentage the house is active each month. From those numbers, you’ll be able to tell how large your septic tank should be! 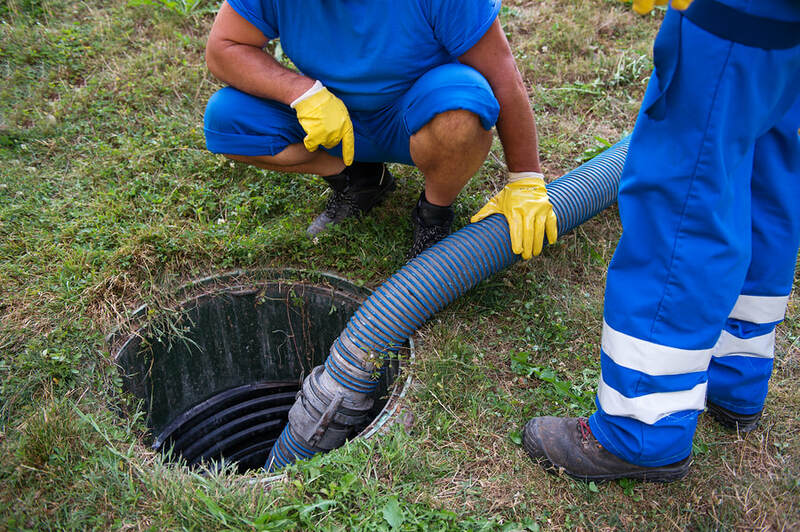 You may think that pumping out a septic tank wouldn’t be a clean job, and for companies that don’t have the proper equipment, it is. However, Hereford Septic Service are professionally equipped and professionally trained at septic system pumping. Our waste trucks will get your septic system pumped out in no time flat, and we won’t make a mess, except inside our waste retrieval vehicle. We’ve pumped enough septic tanks to know what to do to avoid a huge mess, and we’re only getting better at it with each passing day. How Do You Know When It’s Full? Since your septic tank is buried underground, there’s no real way to tell when it is nearing capacity from sight alone. Using the calculations above, you can get a pretty good idea of when your tank needs to be pumped, but the safer bet is to have it pumped before it gets full. Getting your septic system pumped, prior to it actually requiring it, is one of the smartest ways to do it. Erring on the side of caution will save you from a potentially massive cleanup effort, and will prevent your septic system from overflowing due to being full. Whenever you get your septic tank pumped, it’s a good idea to have an inspection done at the same time. When the tank is empty, it is the easiest time to troubleshoot any problems and investigate for damage or structural issues. At Hereford Septic Service, this is our best practice and our septic system engineers will make sure to mention this to you after pumping, to make sure you get the most bang for your buck.